It is a common mistake for pet owners to think of their dog or cat as being a member of the family and thinking just like the human members do. Dogs have thought patterns that are different to humans, as do horses, cats, and even primates. Dealing with animals in the wild, on a farm, or as a pet; requires an appropriate appreciation for such differences. 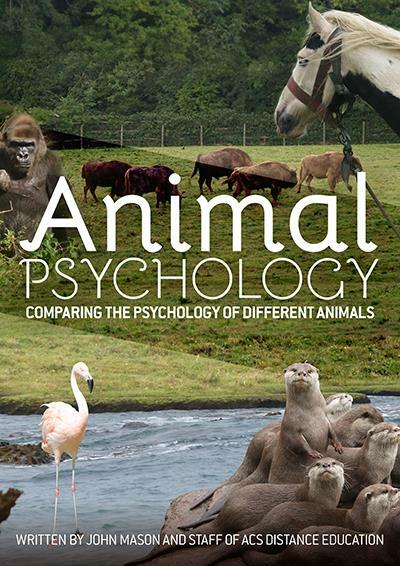 The Animal Psychology ebook by John Mason and Staff of ACS Distance Education has 105 pages and 69 colour photographs is a wonderfully insightful read for any animal lover. Why do we need to understand animals? Do animals understand human language? Why do we domesticate animals?